A new textbook entitled “An Introduction to Cyberpsychology” (edited by Dr. Irene Connolly, Dr. Marion Palmer, Ms. Hannah Barton and Dr. Grainne Kirwan of the Department of Technology and Psychology of the Dun Laoghaire Institute of Art, Design, and Technology), has been published by Routledge. The book is being launched on Thursday 28th April at IADT by eminent cyberpsychology researcher, Dr. Linda Kaye (Edge-Hill University, UK). Contributors to the book are current or past lecturers on the MSc in Cyberpsychology in IADT, which has been running since 2007. The textbook contains chapters on many aspects of online behaviour, including online dating, cybercrime, flaming, distraction, privacy, addiction, gaming, and young people online. It also considers the use of technology in applied settings, such as education, sport, health, and organisational settings, as well as the psychological applications of Virtual Reality and Artificial Intelligence. Overall, the book presents a wide body of research in the field, evaluating the evidence for and against current moral panics surrounding technology, including excessive smartphone and gaming use, cybercrime, and the impact of technology on the development of children and adolescents. 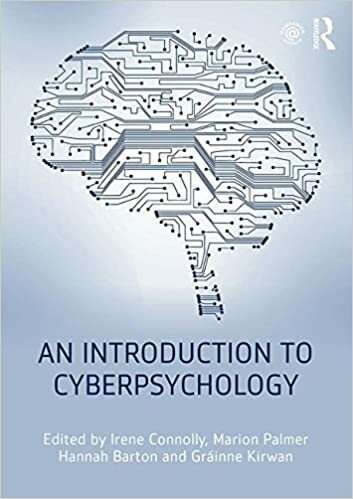 “An Introduction to Cyberpsychology” is the first book to provide a student-oriented introduction to this rapidly growing and increasingly studied topic. It is designed to encourage students to critically evaluate the psychology of online interactions, and to develop appropriate research methodologies to complete their own work in this field. Congratulations to the editors Dr. Irene Connolly, Dr. Marion Palmer, Ms. Hannah Barton and Dr. Grainne Kirwan of the Department of Technology and Psychology and all the authors.